Mahindra & Mahindra Ltd. (M&M), India’s leading SUV manufacturer, recently concluded the ’Wild Escape 2014’, under the Mahindra Adventure umbrella brand. 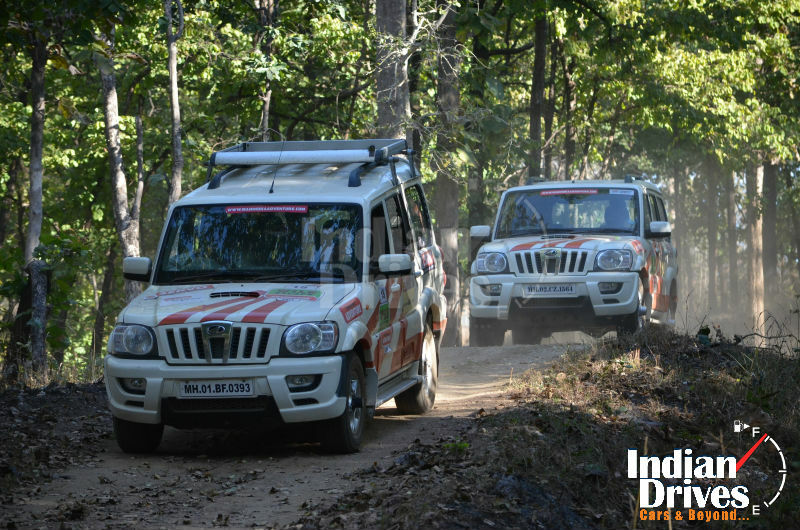 The first edition of the Wild Escape was held between February 9-14, 2014 and saw a convoy of 15 expedition ready Mahindra Scorpios’ trail driving their way through the wild forests of Pench and Kanha. The flag off took place at Nagpur from where the group of wildlife enthusiasts drove past mustard fields in their Mahindra vehicles, before going deep into the forests of Pench and Kanha. The participants had their first brush with wildlife at Pench. Here the sights and sounds of nature became wilder as they came into close encounters with fierce predators like Leopards, Tigers and other wild animals like Cheetals, Gaurs, Wild Boars, Barasingah and Jackals. Apart from being a veritable wildlife reserve, these jungles also lived up to their reputation of being a haven for bird spotters. Replete with migratory birds such as the Malabar pied hornbill, Indian pitta, Osprey and some of the endangered species of Vulture, these reserves also house local Peacocks and Kingfishers aplenty. Pench and Kanha Tiger reserves, apart from being rich in wildlife, also boast of a heterogeneous mixed forest, of shrubs and grasslands making the drive an unforgettable experience. While it was mostly about disciplined convoy driving on the tarmac, from one tiger reserve to another, participants got their share of off-roading thrills in one of the pre-planned safaris where Mahindra vehicles were taken into the reserve to spot wildlife. En route, the participants were treated to the best hospitality and Mahindra’s extensive dealer network played a big role in making it an experience for the participants to remember. This five-day expedition started from Nagpur, and traveled through the nearby wildlife reserves – Pench & Kanha Tiger Reserve – before returning to Nagpur.